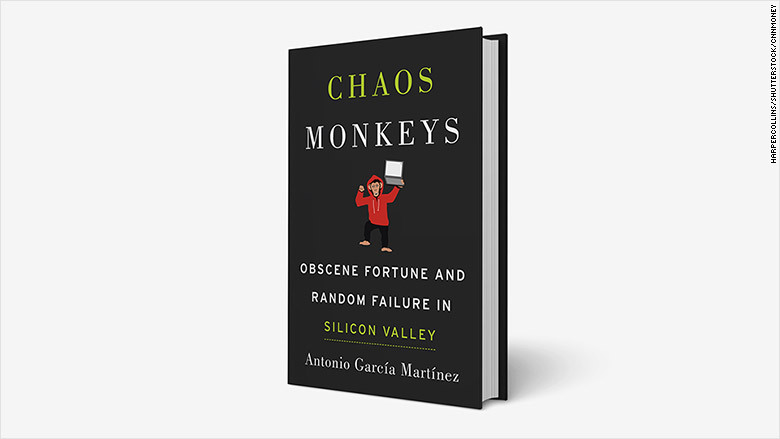 "Chaos Monkeys: Obscene Fortune and Random Failure in Silicon Valley" reads like four year's worth of Medium posts from a scorned man. 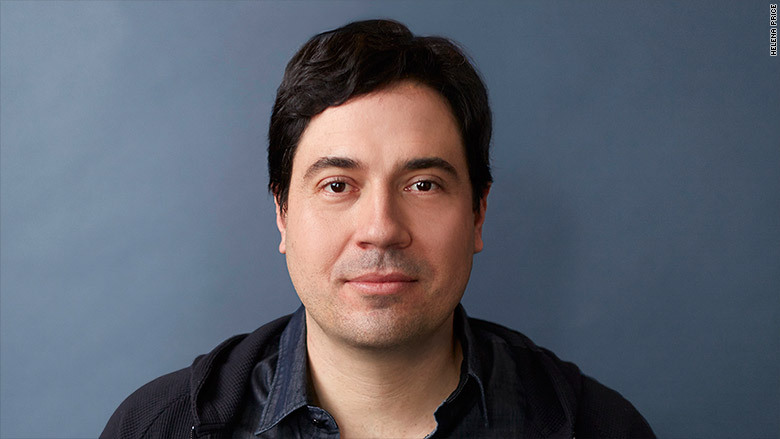 Two-thirds of the new, 499-page book is about a strained career in ad tech and the drama of launching and sustaining a startup. The remaining third is devoted to anecdotes of working at Facebook. Written from the perspective of a man who clearly relishes burning bridges, "Chaos Monkeys" is hyperbolic and unkind to nearly every character and storyline. Facebook (FB) is treated especially harshly. Antonio García Martínez got into tech after a stint at Goldman Sachs (GS) as a quantitative strategist, someone who builds financial models for traders. He was trained as a physicist but never got his Ph.D. When the financial markets collapsed, he left Wall Street for Silicon Valley and found a home at Adchemy, an ad tech startup. By 2011, he'd started and sold his own own ad tech startup, AdGrok, to Twitter (TWTR). "Chaos Monkeys" chronicles García Martínez's life in the San Francisco area between 2010 and 2014 -- years that bookended Facebook's IPO. García Martínez joined Facebook in 2011 as a product manager. He worked on ad targeting and launched FBX, a marketplace where advertisers bid on ads. Facebook fired him after two years for a variety of reasons, he says, including insubordination and his struggling ad product, which the company is now shutting down. He tried to make this part of the book -- his time at Facebook -- more interesting by weaving in colorful, but unrelated, stories and observations. But García Martínez comes off as arrogant instead, especially when he compares Facebook's culture to fascism. When Google (GOOGL) launched its competing social network, Google Plus, in mid-2011, García Martínez recalls a tense environment at Facebook. CEO Mark Zuckerberg commanded his company to operate in a "lockdown" mode. Teams worked around the clock and on weekends. Following a speech that Zuckerberg made, posters were printed with the phrase Carthago delenda est, or Carthage must be destroyed. Zuckerberg said it was something one of his favorite Roman orators would say, García Martínez recalls. Posters with the text appeared everywhere in the office. They were produced by an internal team, the Facebook Analog Research Laboratory, or as García Martínez calls it, "Facebook's ministry of propaganda." "This improvised print shop printed all manner of posters ... often distributed semifurtively at nights and on weekends, in a fashion reminiscent of Soviet samizdat," writes García Martínez, the son of Cuban exiles. "Back in Havana, my cousins were eying posters of Che and Fidel," he writes. "¡TODO POR LA REVOLUCION!" and "¡PATRIA O MUERTE, VENCERMOS!" they read. "Meanwhile, I was walking around Facebook, surrounded by stenciled portraits of Mark and equally exhortatory posters: PROCEED AND BE BOLD!" Aside from examples of office decoration, Garcia Martinez doesn't point to anything unusual that Facebook did to suppress its employees. After all, what office doesn't have its share of team-building exercises, motivational posters and house rules? Facebook declined to comment on the book. The author, Antonio García Martínez. Despite his criticisms, García Martínez does give Facebook credit for cultivating loyal employees and producing enviable products. Workers join the company because its products serve millions of people, he says. They aren't in it for the money. They are "true believers" who "really, really will not stop until every man, woman and child on earth is staring into a blue-framed window with a Facebook logo." When complimenting Facebook on the mass popularity of its services, García Martínez is at times vulgar. "In October 2010, a mother in Florida had shaken her baby to death, as the baby would interrupt her FarmVille games with crying," he writes. "Products that cause mothers to murder their infants in order to use them more ... simply cannot fail in the world." García Martínez defends himself (and his resentful attitude) repeatedly. He claims to adhere to a philosophy of doing what's best for the products, rather than making choices based on office politics. "Don't be deceived by my withering treatment of Facebook... Inside every cynic lives a heartbroken idealist." And he acknowledges the role of his critics first in the book's dedication: "To all my enemies: I could not have done it without you."